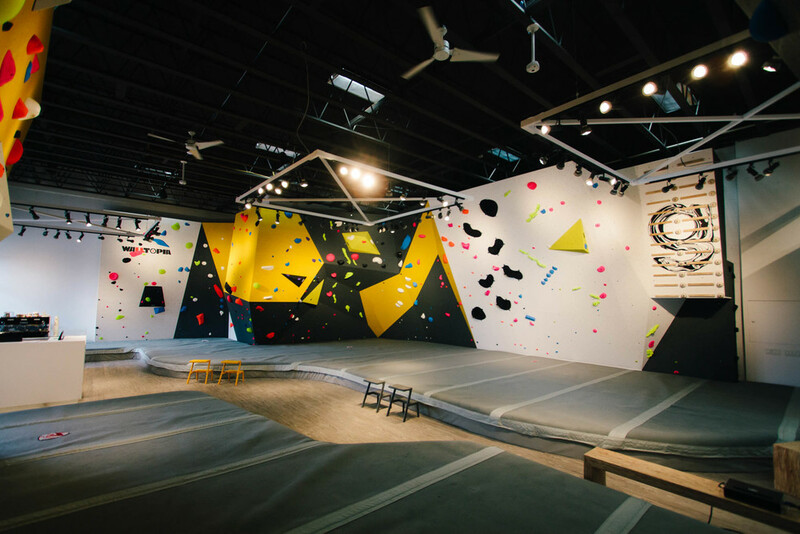 This page describes our climbing facility in kelowna BC. 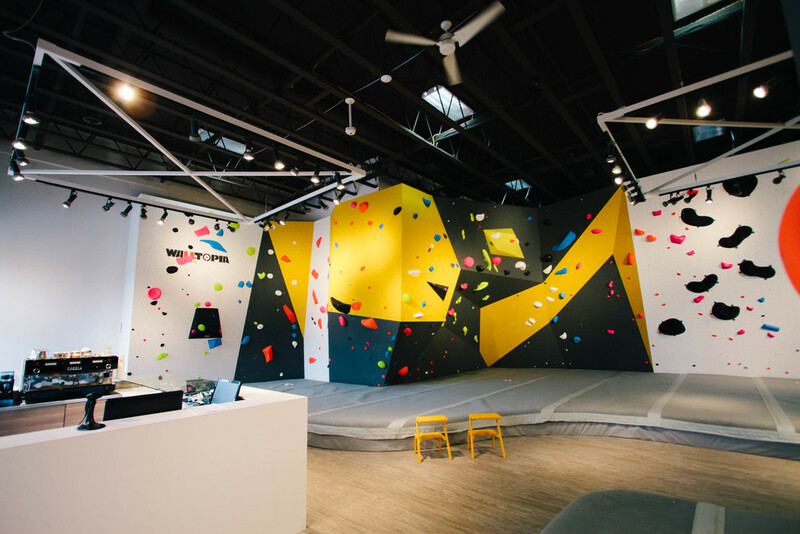 Gneiss climbing is primarily a bouldering and fitness gym with an additional area specific for kids climbing and kids programs. Gneiss climbing will also host birthday parties. 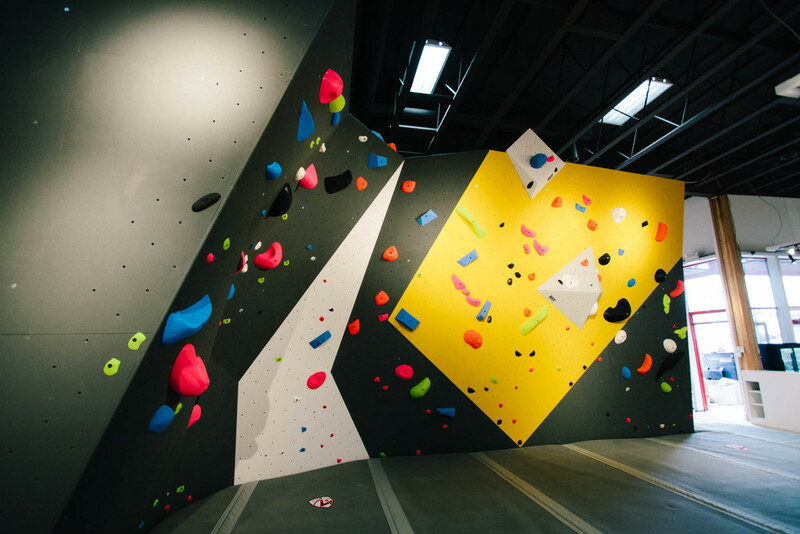 The gneiss climbing facility is open concept; our space is bright and beautiful with large glass facades and a minimal modern feel. The layout has been designed with an emphasis on community and creating a social atmosphere. Our goal is to make gneiss climbing the hub of a growing climbing community in the Okanagan. 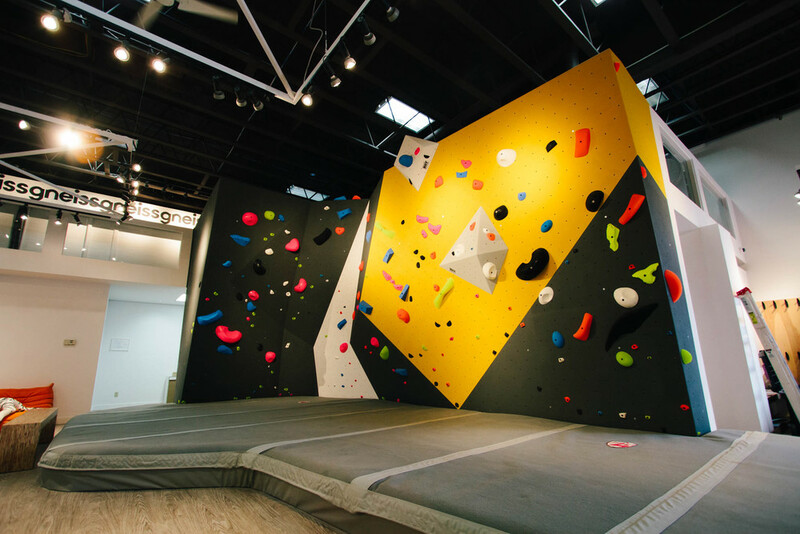 Gneiss is a bouldering focused facility, our main area has bouldering to ~15' off the matting with a considerable variety of terrain from slab to steep. We have sourced the most progressive holds and volumes on market and have engaged Andy White as our head setter to ensure all climbers, from beginner to pro have a positive and challenging experience. Training and fitness will feature in a big way at gneiss, we aim to provide the most cutting edge training and fitness elements available. 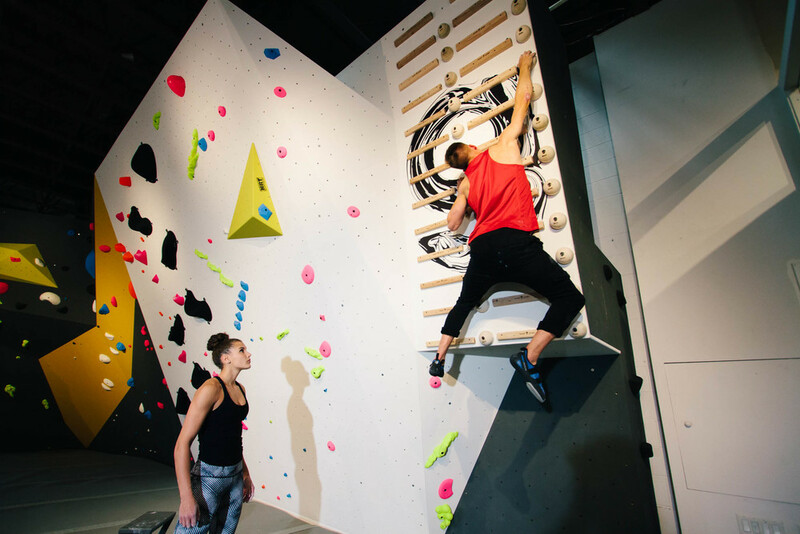 Training elements you will find at gneiss include campus wall, rope latter, multiple hangboards, beast balls, battleing ropes, free weights, squat rack, bench press, treadmill, spin bikes, rower and more including personal training by CSEP Certified Exercise Physiologist trainer. 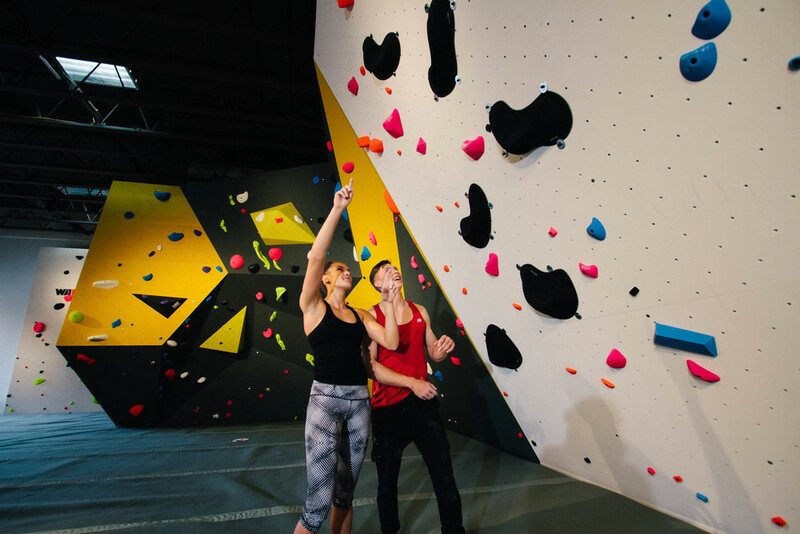 At gneiss climbing we believe youth development and kids climbing to be a vital part of the service we intend to provide; in order to do this effectively and safely we designed a separate kids/youth climbing area where youth can explore the sport in an environment designed and dedicated to them. 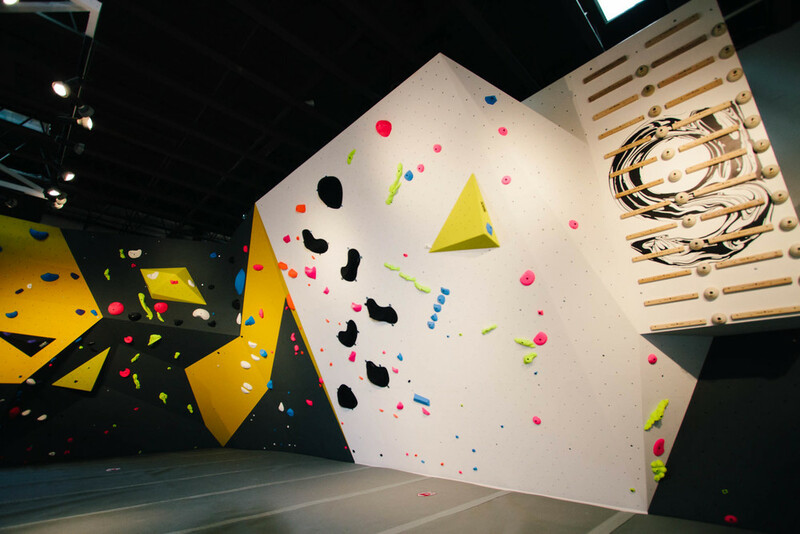 The youth area will have auto belays and speed climbing tracks, in addition to a variety of bouldering terrain. 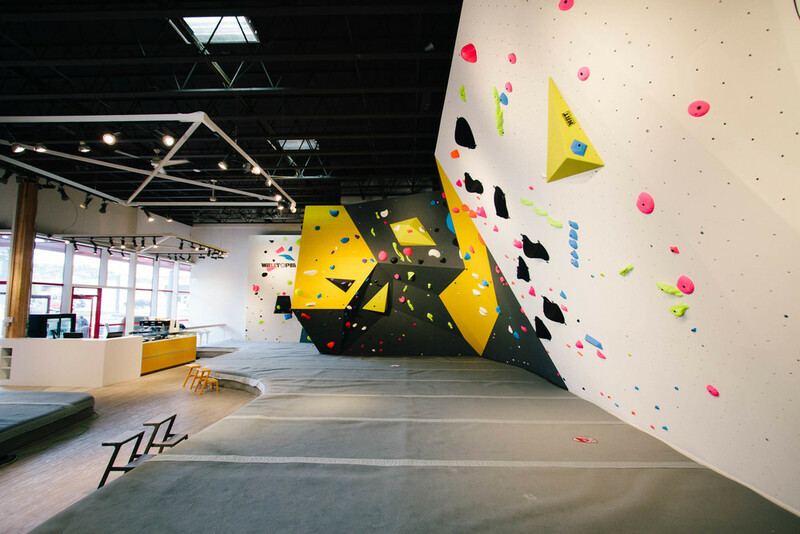 The mezzanine area above the youth climbing will host birthday parties and other private functions.